Bondurant Mixson & Elmore's team of litigation support professionals work with our lawyers and clients to manage cases from beginning to end, including collecting and organizing very large document productions and reviews, as well as preparing sophisticated courtroom presentations for hearings and trials. Our experienced professionals utilize the most current litigation technology to effectively and efficiently direct each case. Our team uses, among other technology, DISCO, Relativity, Westlaw Case Notebook and Trial Director, and our document intensive cases have extended into terabytes of data. 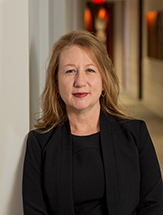 Tanya C. Reed is a Litigation Specialist with over 25 years of paralegal and case management experience with Bondurant Mixson and the recipient of the 2005-2006 Paralegal of the Year Award (Fulton County Daily Report). 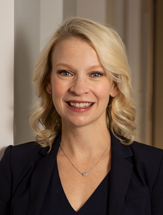 She has provided litigation support for some of the largest complex litigation cases in the State of Georgia, providing valuable expertise in all areas of case management. Ms. Reed has managed more than 20 trials (both bench and jury trials) with an emphasis on document intensive matters. 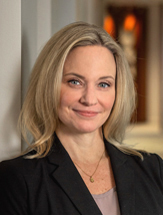 She has managed numerous high profile cases in state, federal and appellate courts, including class actions, federal and state prosecutions, and many well-known pro bono matters; as well as national and international mediations and arbitrations. Ms. Reed received her B.A. degree from the University of Georgia and her paralegal certificate from the National Center for Paralegal Training, specializing in general litigation. She is a member of the Georgia Association of Paralegals; and is often a featured presenter at seminars involving case management, effective use of paralegals, electronic discovery and trial preparation. She acts as a resource to the in-house paralegals and assists with the training of our new paralegals and associates. Catherine Anderson is a Senior Litigation Paralegal/Case Manager with over 20 years of litigation experience. Throughout her career, Ms. Anderson has assisted in numerous trials, mock trials, arbitrations, hearings and vast document productions in a variety of areas of law. She also has experience with database design and cutting edge document analysis technology. Ms. Anderson received her M.B.A. in Finance from the University of Illinois at Chicago, her B.A. from the University of Alabama and her paralegal certification from the National Center for Paralegal Training. Lindsey Harrison is a Senior Litigation Paralegal who has been with Bondurant Mixson for over 10 years where she manages complex litigation cases in both state and federal courts and appeals. She has significant experience preparing for and assisting with jury trials, arbitrations, deposition preparation and hearings and is versed in state-of-the-art document review and case management software. Ms. Harrison is a graduate of the University of Georgia School of Public and International Affairs.